David A. Bondy is a New York City transactional lawyer with over 10 years’ experience providing legal and business advice. His clients include individuals and companies in fashion, music, website and software development, television production, advertising / pr / branding, interior design, aerial photography, and jewelry design, among other industries. 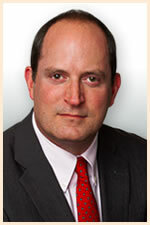 A veteran of several of the top firms in New York City, David trained as a corporate lawyer, working on a wide variety of matters, including mergers and financings, and as an intellectual property lawyer, negotiating and drafting licenses in the entertainment, publishing and digital arenas, and providing copyright advice to one of the world’s leading publishing companies. Prior to practicing law, David worked for 13 years at International Creative Management (ICM) in the classical music, motion picture, theatre, television, literary, commercials and business affairs departments. A recovering professional musician, David lives in Brooklyn with his family and piano.